Welcome! Driver’s education and the ever changing laws can be confusing, but at Excel Driving Instruction, we strive to make it easier for you. With a convenient online classroom and six progressive behind-the-wheel driving lessons, we are here for you with any questions you may have. Once you are 15 years of age or older, you can start by clicking the Register button. 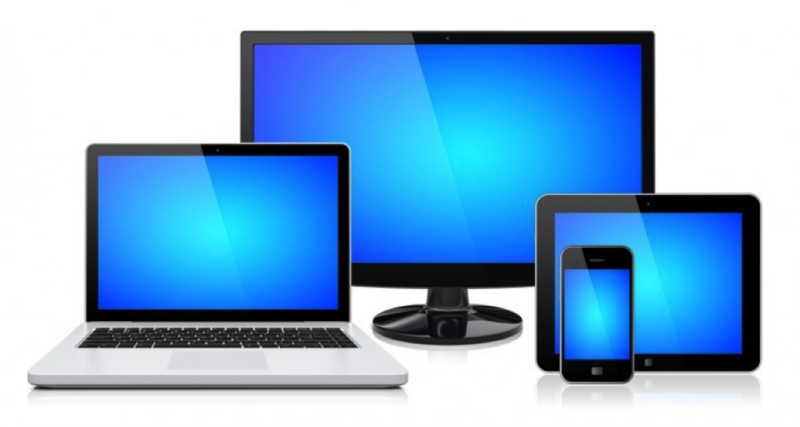 Log in with any device, any time! Click on Register button on the menu above to get started. Once you have completed the online course, you will be able to schedule six behind-the-wheel driving lessons. At Excel we try and stay on the leading edge. That's why our classroom is online. We know that you have a busy schedule. Sports, clubs, and activities fill up a lot of your time. We have a leading edge online classroom platform that will help you save your time. Welcome to EXCEL Driving Instruction, Inc. Our goal is to help new drivers in Northwest Indiana become competent behind the wheel, while practicing the habits needed for a lifetime of safe driving. We are located at 470 Vale Park Road, just north of the Valparaiso High School. Tuesday through Thursday: 10:30 a.m. – 5:00 p.m. Frequently asked questions. You have questions. We have answers. When do I get my CDE? You’ll receive your enrollment paperwork, including your CDE, during office hours by email or visit our office. What are Indiana’s graduated driver license laws? Before participating in any behind-the-wheel instruction at EXCEL, students must have a Driver Education Learner Permit from the Bureau of Motor Vehicles (BMV). Driver education students are required to pass a written test and present a valid CDE form to receive a driver education permit. Excel's online course helps you prepare to take the BMV's Rules of the Road test. Be at least 15 years of age and have a social security card. Show proof of enrollment at EXCEL by presenting your Certificate of Enrollment (CDE). You will receive this once your enrollment is confirmed. Pass a standard vision-screening test. Have an adult sign a financial responsibility agreement. Pay $9 to cover the cost of the Permit. Pass the state's written test on Rules of the Road at the BMV license branch. You are not required to be enrolled in a BMV approved driver education program to receive your learner permit. However, classroom training is recommended to encourage safe driving. EXCEL offers a drive only program for older teens and adults who already have taken the written test and have received a validated learner permit. To enroll and learn more about EXCEL's Drive Only Program, please call our offices at 219-548-2788. Two pieces of mail in your name, or two pieces of mail in a parent/guardian’s name, plus their driver’s license and their birth certificate or passport or Social Security card. Students must complete their online course and six hours of behind-the-wheel instruction before they are issued a Certificate of Completion. You will take this form, along with your Log of Supervised Driving Practice and your learner’s permit to the BMV to obtain your driver’s license. Have not taken the driving skills test at the BMV within the past 2 weeks. Do not have an expired learner’s permit. To schedule a driver’s test at the BMV, please visit their website at https://secure.in.gov/bmv/2549.htm or call 1-888-692-6841. There is no charge to take the driver’s test with the BMV. To schedule a driver’s test at EXCEL, please call 219-548-2788. Tests are normally scheduled a month in advance. Payment of $45.00 is due upon scheduling. In either case, be sure to practice your parallel parking! What is the BMV approved 'Bill of Rights and Code of Responsibilities for Driver Education Students'? Students may take their state-mandated drive test with us rather than at the BMV. We offer convenient times after school or Saturdays. The cost to take the test with EXCEL is $45. There is no charge to take the test at the BMV, but it can only be taken during the Bureau's normal business hours, and there is often a waiting list. To be eligible to take the drive test with EXCEL, students must have passed EXCEL's online classroom and six hours of behind- the-wheel training. Your registration is being submitted. We thank you for your patience. Knowing that families are busy with academics, sports and other commitments, we offer convenient, year-round class times and drive times. Use the contact info above or send us an email below. Save trips to the classroom. Educational videos, sign identification practice, and preparation for your state written exam. State approved course, powered by DrivingBrilliance.com. Access to computer email required. Six 1-hour drives to be completed within 120 days after enrollment. Stop in our Valparaiso office to receive your parent guide, driving log, driving techniques, parent-teen contract and information on new Indiana laws for teen drivers. Your brochure request has been submitted. We will mail you out a brochure soon. Feel free to give us a call or email if you have any questions.